When a water pipe in your yard bursts and you need immediate help, where do you look for assistance? Once they have found a business–either in the local pack or search results, 90 percent of prospects will read less than ten reviews before forming a distinct impression of your business. If you are a local service business, it is crucial to put your best foot forward because 87 percent of Americans trust online reviews to help them choose which local businesses or services will receive their hard-earned dollars. A strong brand inspires confidence and brings more business. Nearby Now is a tool to strengthen your brand. Nearby Now is a powerful platform and ideal for service area businesses to build their reputation. It increases visibility in search engines and gives you unprecedented control over presentation and content. Here are some tips to use this tool for maximum mileage. Nearby Now has great advice on how to create job descriptions that exude credibility and impress search engines. Avoid abbreviations or industry slang. Whether it was a commercial or residential job. Four out of 10 customers will write a Nearby Now review if you request one immediately after completing a job successfully. The rate drops to 20 percent after 24 hours and declines further with delay. Educate your workers to prep customers while they are still fixing things and send a review request to the clients’ email address as soon as the job is finished. Unlike Yelp, Google, and other review websites, Nearby Now does not require customers to log in before they can write about their experiences with a business. This little feature increases the chances of positive feedback. Although Nearby Now eliminates the technical difficulties preventing your customers from writing reviews, your employees need to be alert to the human side of things. The skill of determining when a client is a good candidate for a review request is useful, and your employees will be better off acquiring it. Ask “Did I provide 5-star service today?” or “Did my service meet your expectations” or “Did I solve your (type) problem well?” or something of that sort. The response is “yes.” This is a good candidate for a review request. The response is “no.” Provide a little more customer service, find the issue, and resolve it. Integrate Nearby Now with the most profitable geo-targeted service pages. Club reviews from several smaller areas into a bigger one. It is not worth creating a service page for a sparsely populated town, county, or Census-Designated Place (CDP). Nearby Now automatically generates heat-maps. The heat-maps highlight the areas that keep you busy, thus are most profitable. Cover the most populous and profitable areas. You can create service pages for as many locations as your business strategy and white hat SEO allows. A lot of businesses fall into the trap of creating doorway pages—web pages sandwiched between what the appears in Google search results and content providing actionable information. The technique is frowned upon nowadays and your business website can be penalized for creating doorway pages. Few customers are willing to take a leap of when they are searching online for local services. Often, websites and web pages focus on short-term persuasion tactics and create an environment deprived of face-to-face human contact. Do not do that. For online customers, trust is a stronger inducement than price. To build trust, let your customers know what you are good at. Insert Nearby Now reviews into the local landing page to demonstrate consistency in providing high-quality jobs. You can also use a familiar landmark image the locals can relate with. An image grabs attention and, when coupled with engaging sales copy, inspires trust. Some local businesses talk about their company and include an overlay of their star employees, thus providing more transparency. When one in four reviews on Yelp is a potential fake, it should not be surprising that 90 percent of people do not trust landing page reviews. Luckily, you can fix that. Don’t edit your customers’ comments, unless there are obvious linguistic mistakes. Let them speak. Slang, localisms will sound more natural. Don’t eliminate four-star or three-star reviews. Recent research has shown that people are more likely to trust you if they see both negative and positive reviews. The researchers were able to put a number on the effect: Letting your prospects read bad reviews can increase your sales up to 67 percent. Although Nearby Now lets you check in for your past jobs, a recommended strategy is not to go overboard. One hundred reviews in a day can trigger Google’s spam alert, and your website can lose rank. Let Nearby Now collect reviews gradually. Location pages with content from Nearby Now are great, only if have done your homework first. Thankfully, it is not difficult if you know search engine optimization (SEO) or have a digital agency to assist for you. It’s a simple two-step process. First, claim your Google My Business (GMB) listing by telling Google that a business listed in their directory belongs to you. Second, ensure that Citations are consistent across the web. A Citation is your business name, phone number, and address. Consistency in Citations is important because it is one of the ways Google determines your authenticity. Checking Citations on your own can be time-consuming. Work with a digital marketing agency to authenticate Citations for you. Once you have claimed your GMB listing and verified Citation consistency, you are ready to integrate your location pages with Nearby Now. If you are paying for Nearby Now, get the most out the platform. If you are not using Nearby Now, give it a try and use some or all of the techniques mentioned in this article to gather more reviews and business. 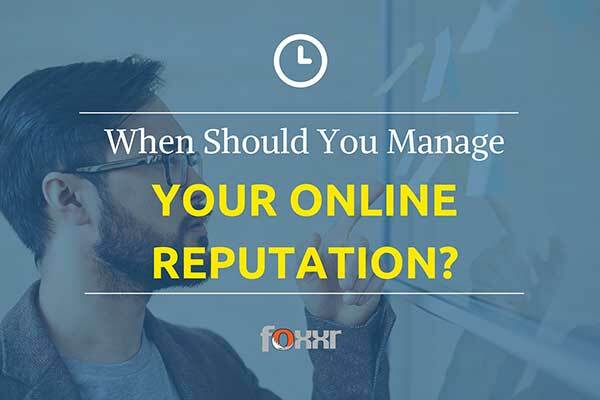 When Should You Manage Your Online Reputation? Do Local Business Directories Still Matter?